I LOST TWO POUNDS THIS WEEK! So I am down 5.4 in three weeks! At this rate, hopefully my goal of hitting 155 on New Years will be a reality! 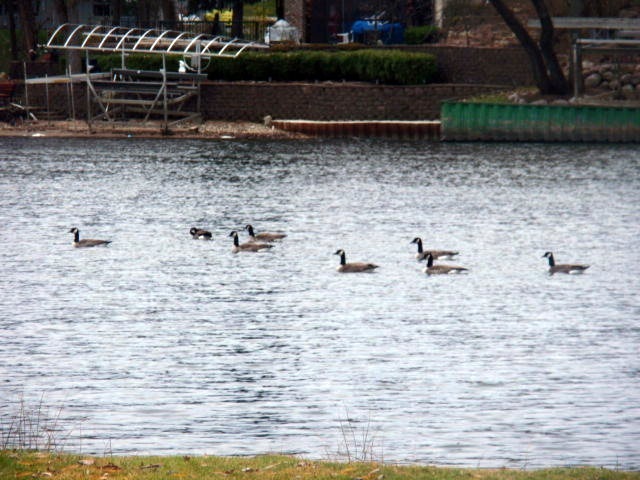 Ed decided to chase ducks on our morning walk. It’s so funny, he has to be almost on top of them before he sees them! 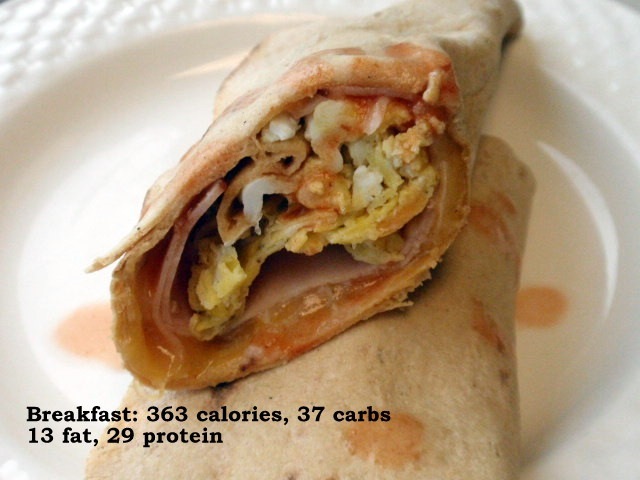 I enjoyed really fresh cantaloupe and the rest of the blackberries for breakfast, and I made an egg sammie on Aldi’s wrap – 9 grams of fiber in each wrap! First order of business though?? 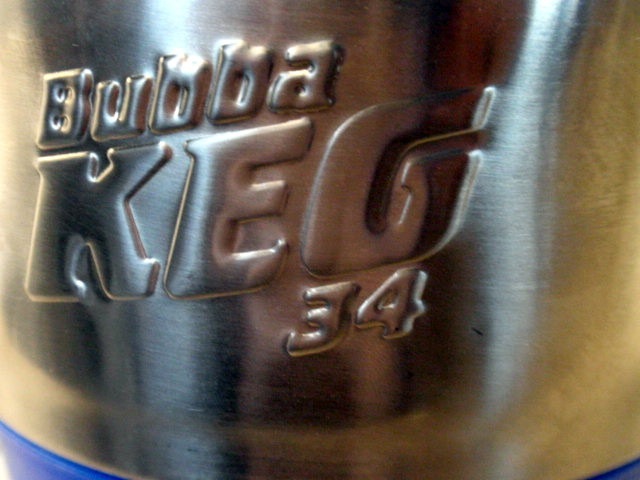 Fill up my Bubba Keg! This holds 34 ounces of water. I had one before lunch and one in the afternoon, and then had 20 ounces with dinner – water intake goal complete! My blood sugar was around 140 before the walk, so I needed to have 15 carbs so I wouldn’t drop too low. 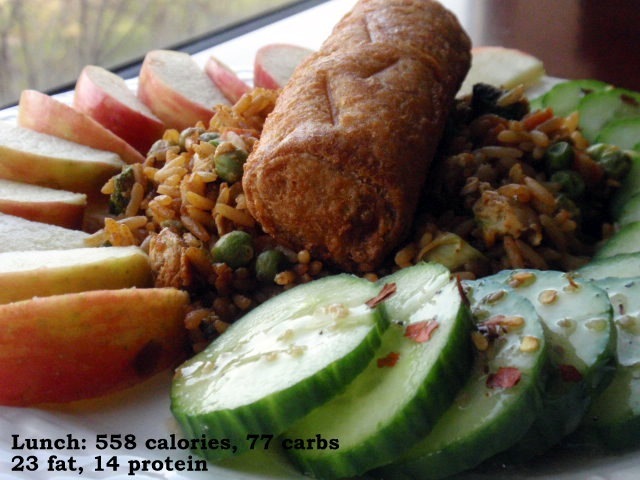 Lunch was one cup of leftover veggie fried rice, a 100 calorie egg roll, 4 ounces of cucumber drizzled with 1 tbsp. Annie’s Asian Ginger Dressing, and a small apple. I loved the added crushed red pepper to the cukes! I did a pot roast in the crock pot today. 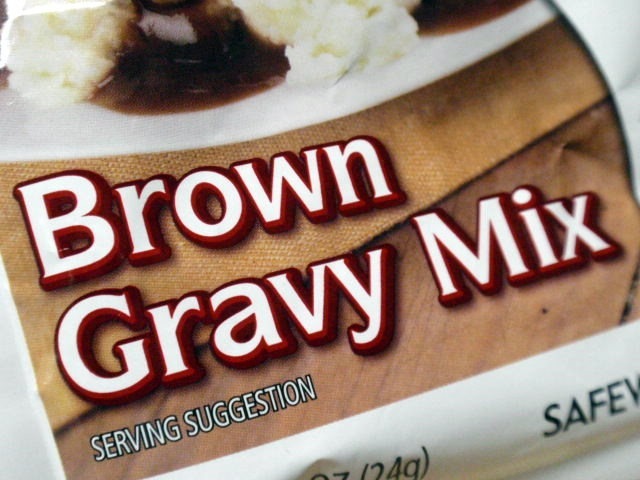 But instead of using the drippings from the crock pot (and avoid all that fat!) I always make lazy gravy. 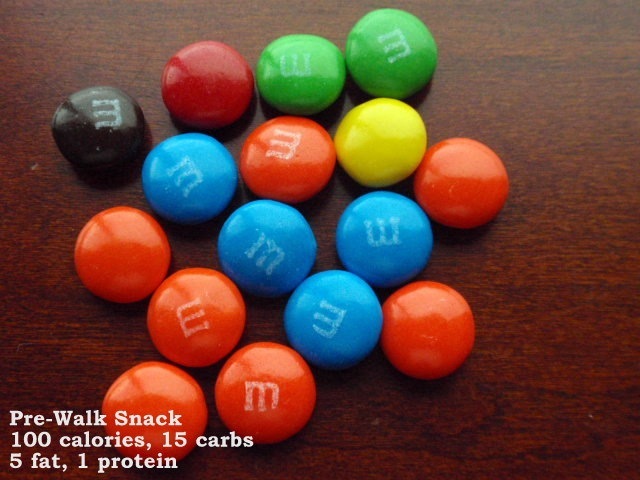 Each 1/4 cup is only 20 calories! Just add packet to 1 cup water, bring to a boil and you are done! So I picked up a copy of Saveur Magazine, and they had a recipe for making a Spicy Guinness Mustard. What?? I never ever thought to make my own mustard!! Since I don’t like Guinness, here is my version, and also based on what I had on hand. I put everything into a tupperware container with a lid. 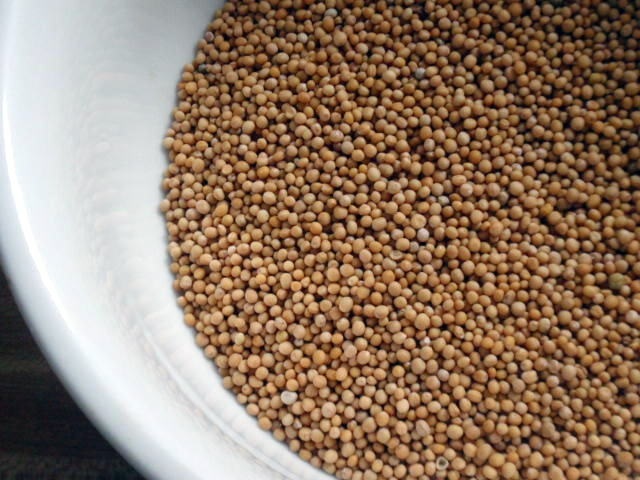 Let sit for 1 – 2 days until mustard seeds are softened. Mix and food processor and you are done! Seriously, this took all of about 9 minutes of hands on time! This made about 1 1/2 cups of mustard! It’s spicy, tangy – yum! And turns out perfect for dipping pretzels into it! This will keep for up to six months in a jelly jar. I can’t wait to make a sammie with it! Only four more days of work for me before I am off for NINE DAYS! Hope everyone survived their Monday – see you tomorrow night! OMG. 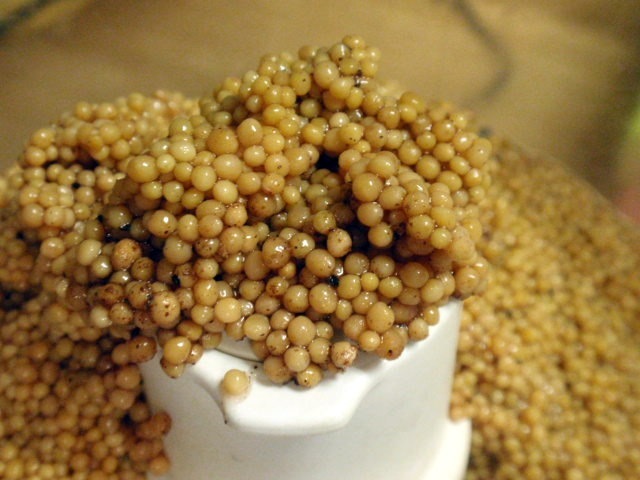 You’re amazing…making your own mustard?!! WOW! You go girl!!! I’m fairly new to your blog, but I’m very familiar with the challenges of weight loss. I wish you well on this endeavor, you’re doing a great job! I love mustard too so this is toooooo awesome! Whooo hooo! 150’s are in your sights! Homemade mustard? Who knew?!!! That sounds so good! You are so creative! you’re so close! keep it up, i think it’s amazing that you’re doing this over the holidays. that’s always when i gaaaaaaaain. ugh. the mustard looks so good, adn what a cool idea! I LOVE spicy mustard! IN fact, I love mustard, period. Congrats on the 2 pound weight loss, that’s fantastic. 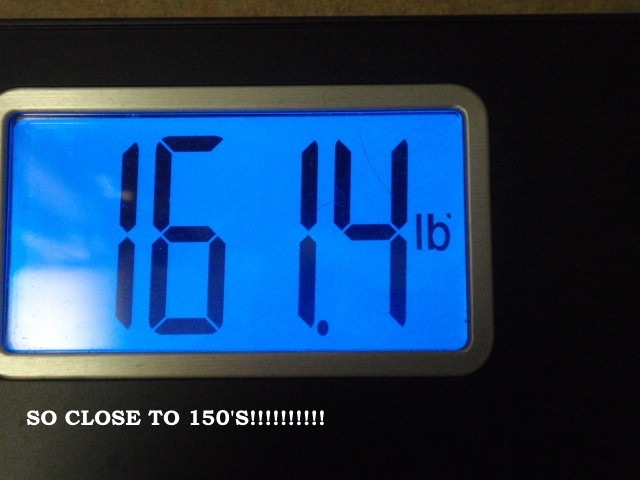 I think you can make it to the 150’s , you are so motivated. Your lunch is very pretty. So creative! 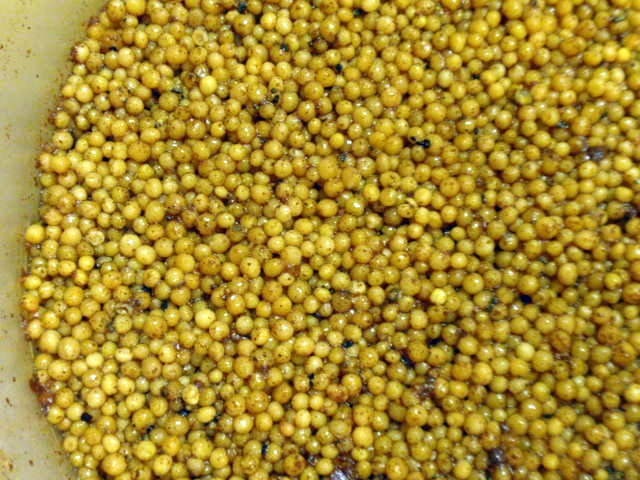 home made mustard!!! are you kidding, this is terrific! Congrats on the weight loss. It is so difficult. I do love the appealing way you make the food look. 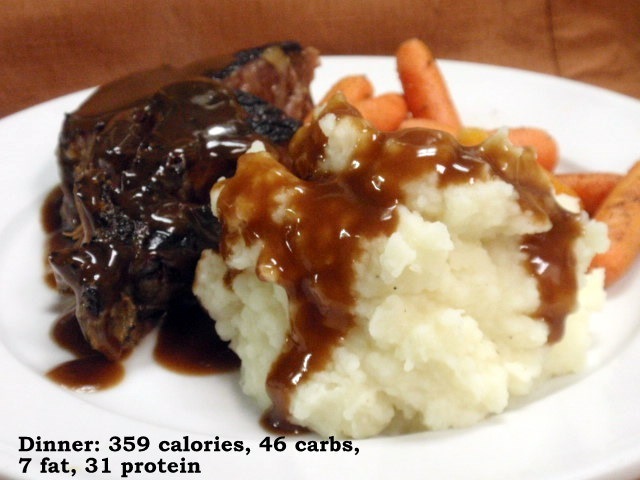 As important as low cal is, if it looks like crap, you will never stick with it..
will you come cook for me till I drop 25 pds??? 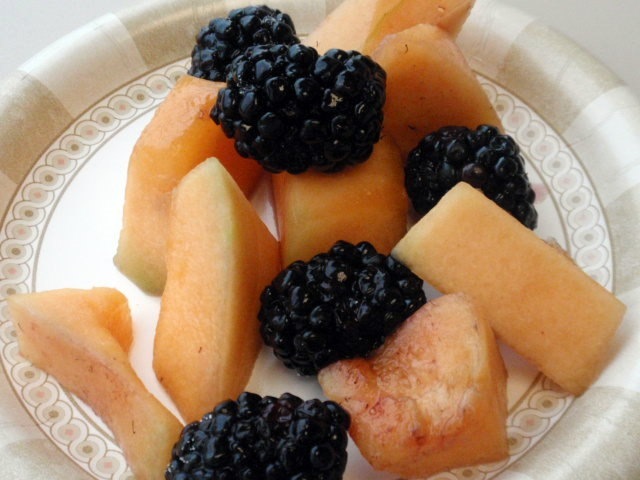 That cantaloupe and blackberries looks so yummy going to have to buy some of that so I can enjoy that too. Congrats on the loss lately. You make your own mustard? Wow! Your food pics look great by the way 🙂 Congrats on the loss! I am all over that mustard – it looks fantastic! What a cool Christmas gift it would make, don’t you think?!? You are doing so great with your weight loss – congrats on losing another 2 pounds! There is no doubt you will reach your January goal at this rate! I’m pretty sure you will have to make a jar of that mustard for Christmas! Nice pictures. What else would you use mustard seeds for I wonder? Congrats on the weight loss, I’m catching up to you! that homemade mustard looks so unique and tasty! I LOVE your pictures they are so beautiful! 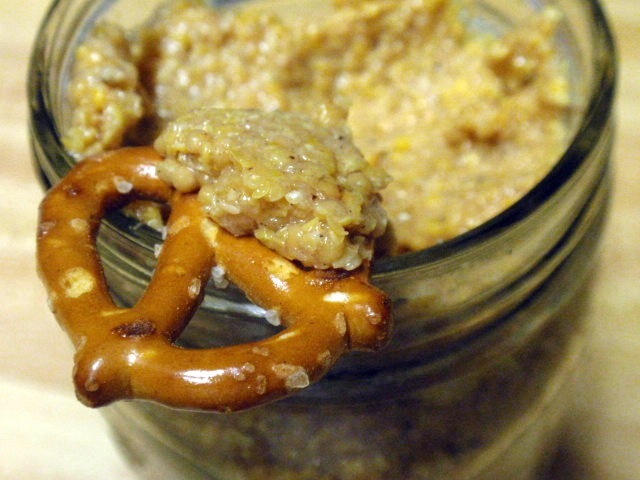 thanks for the yummy tip wiht the go lean crunch and banana combo, it does sound insane! I will surley remember this when I get down to the very last bits! I love that you made this mustard yourself. That is incredibly creative! wow, I’d never thought of making my own mustard! it sounds great. congrats on the 2 lbs!!! Congrats on the weight loss!! That is so cool that you made your own mustard! 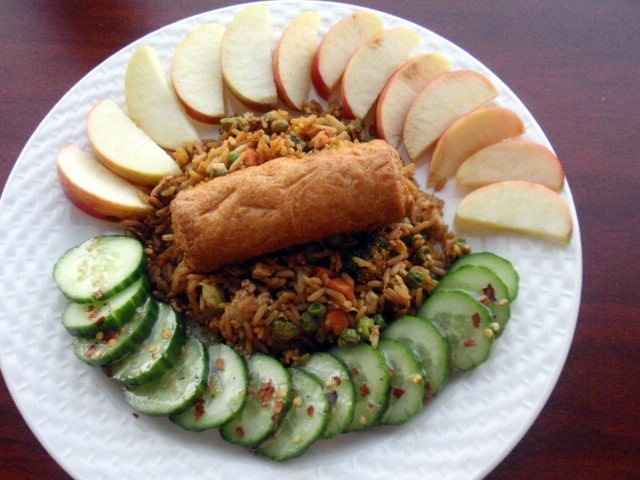 Oh and that fried rice and eggroll looks delicious! wow fabulous weight loss, you will be at your NYE goal for sure!!!! I am on a cucumber dipped in a mixture of mustard/sriracha. YUM! I meant I am on a kick of having that, not that I am currently on a cucumber LOL!! Congrats…I am afraid to weigh in this Friday..lol..I have been cheating a little too much…friends house…beer…cookies….crackers..lol.. So cool that you made your own mustard. I love grainy mustards – I think I might just have to try something like this. How do you like the Annie’s dressing you used here? The homemade mustard looks amazing!!! I’ll have to try that.